These freestanding, 24-hour, on-demand, fresh ice vending machines are perfect for tailgating at FSU Football games, fishing trips on the way to the coast, outdoor picnics, church events or whenever you need ice on the go. 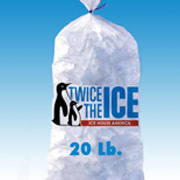 We provide ice in convenient bagged amounts of 10 and 20 lbs. 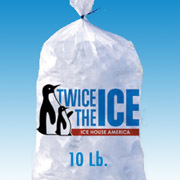 Our Tallahassee ice machine is open 24 hours as well as our Woodville ice machine location, so no need to wait. We take cash or credit card. 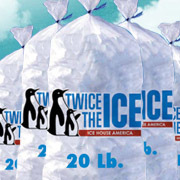 We also sell wholesale or retail, just call us for details 850-251-6453. 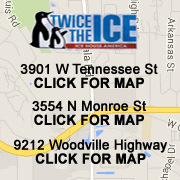 Twice The ICE is located on US Highway 90 W. Tallahassee and in the Heart of Woodville.